In this week’s issue… Ordway’s back, Orsillo’s out, O’Brien’s moving – New WNY FM closer to reality – More AMs go dark – NJ radio veteran retires – New talker in NH – Tower Site Calendar 2016: Get Yours Now! *It’s a good thing we wait until the very end of Sunday night to finish these Monday-morning columns – otherwise, we’d have missed out on the news of Glenn Ordway’s return to WEEI (93.7), two and a half years after an acrimonious parting of the ways with the Entercom sports station. 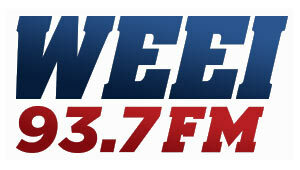 Neither Ordway nor WEEI quite clicked in the same way afterward; Ordway tried to do a streaming show, picked up a few terrestrial affiliates, but it didn’t go well without the big platform of WEEI. Meanwhile at Entercom, other replacements – Mike Salk from Seattle and then Tim Benz from Pittsburgh – failed to click with the Boston audience. And so at a time when the team is desperate to grab on to any bit of stability it can find, it’s…jettisoning Orsillo after this season draws to a merciful end in a few weeks. While the news emerged early in the week, it took until Saturday for anyone from the Sox brass to explain why one of the best voices in the business is being sent packing in favor of one of his radio colleagues. *In Buffalo, Townsquare and PD Dave Universal have completed their rebranding of WJYE (96.1). After freshening the music on the former “Joy 96” a few months ago, Tuesday morning brought a 7 AM relaunch as “Mix 96,” with new calls WMSX. “Mix” goes right up against Entercom’s hot AC behemoth, “Star 102.5” WTSS, as well as a former “Mix,” Cumulus’ WHTT (104.1), in search of the office-and-minivan crowd. *If you’ve been reading NERW since the spring of 2013, you know that Cumulus has been plotting for quite a while now to put an FM replacement in place for the former WFAS-FM (103.9) in Westchester County, NEW YORK. In April 2013, NERW was first to report on Cumulus’ plan to move translator W232AL (94.3 Pomona) across the Hudson to the WFAS (1230) tower in Greenburgh to fill in some of the gap once 103.9 relocated to New York City. As it turned out, it was more than a year before the 103.9 move finally took place. On July 4 of this year, WFAS-FM relaunched as WNBM, licensed to Bronxville and transmitting from the Bronx with an urban AC format as “Radio 103.9,” part of Cumulus’ New York cluster. Meanwhile, the AC format from WFAS-FM has lingered on in something of a zombie state. Its staff was dismissed just before the move to the Bronx, but an automated version of the format quickly appeared on an HD subchannel of WPLJ (95.5 New York), even as WPLJ’s main channel programming appeared on W232AL in Rockland County. Behind the scenes, Cumulus and the translator’s owner, Bridgelight, were working through FCC bureaucracy to complete the move of the translator, first increasing its power on the Rockland County side of the river and then re-filing to make the move to the WFAS site in Greenburgh. That most recent Greenburgh application was filed in July, and on Thursday it was rewarded with a construction permit. Working in near-record time, Cumulus crews descended on the Secor Road site to build out the translator, which took air Friday afternoon as “WFAS-FM 94.3,” delivered over the WPLJ subchannel. *Starboard Media has completed its $10.1 million purchase of WNSW (1430). While licensed to Newark, NEW JERSEY, the former Multicultural Broadcasting signal covers a big chunk of the greater New York market, where its “Relevant Radio” programming makes it the first full-time Catholic broadcaster in the region. The Radio Cantico Nuevo Spanish-language religion that had been leasing the 1430 signal is still heard in the market over the HD4 of WVIP (93.5 New Rochelle) and over translator W292DV (106.3) in Long Island City. Upstate NEW YORK radio listeners had a bit of a scare last week when WFXF (95.1 Honeoye Falls) morning man Brother Wease was hospitalized with heart problems. Fortunately (especially given Wease’s recent brush with cancer), Wease spent only a few days in the hospital and is recuperating well – but his listeners had a surprise Wednesday morning when Clear Channel plugged WHAM (1180 Rochester) midday talker Bob Lonsberry into Wease’s morning slot. Lonsberry, as conservative as Wease is liberal, frequently spars with Wease on-air, but this was his first time serving as Wease’s fill-in. *MONDAY UPDATE: Your editor doesn’t normally see two of his former colleagues at WBZ making news on the same day, but it’s an unusual Monday. Over at WBZ itself, Jay McQuaide is departing at week’s end to join Blue Cross/Blue Shield, reports AllAccess.com. Jay got his start in the business at WLLH in Lowell (opposite yours truly at WCAP), and after a detour to Orlando’s WDBO (580), he landed at WBZ in 1992 as midday anchor and designated fill-in for morning man Gary LaPierre. And the guy who hired Jay (and your editor) at WBZ is returning to the Boston radio scene. Brian Whittemore left the PD/ND chair at WBZ in 1996 to go to KDKA in Pittsburgh and then WCCO in Minneapolis as GM. He’s been out of the WCCO job for a couple of years, but now he’s headed to WRKO to fill the operations manager post left vacant by Mike Elder’s move to Fox News Radio. Welcome back, boss! *It’s been not much more than a year since WPEN (950 Philadelphia) dropped its long-running standards format and flipped to oldies, challenging the market’s oldies leader, Infinity’s WOGL (98.1), with a jock lineup that included familiar Philly voices like Jerry “Geator” Blavat, Jim Nettleton and Christy Springfield. On October 3, WPEN will drop the oldies and become PENNSYLVANIA‘s newest sports station, going up against the dominance of Infinity’s WIP (610) with a lineup that will include Jim Rome in middays, former WIP (and WFAN) host Jody McDonald in afternoons and Sporting News Radio’s Tony Bruno (who got his start at WIP) in late mornings. *A quiet week in NEW YORK, with just a couple of Radio People on the Move to report. In Albany, Rob Ryan is the new PD at WAJZ (96.3 Voorheesville), inbound from KLZR/KKYD in Topeka. And in Utica, WLZW (98.7) PD/afternoon jock Peter Naughton’s leaving for the bright lights of TV, where he’ll be working at WSYR-TV (Channel 9) in Syracuse. Probably the biggest move of the week is downstate, though, where three staffers at WBLI (106.1 Patchogue) are headed up to Poughkeepsie to take over the morning slot at WPDH (101.5) formerly occupied by Karlson and McKenzie. The moves by middayer Reno, MD/weekend jock LJ Lovely and weekend jock Matt Goldapper will leave a slew of openings for J.J. Rice and his crew to fill at WBLI, no doubt. We hear that the staff at WROC-TV (Channel 8) in Rochester is “cautiously excited” about the impending addition of a 10 PM newscast that they’ll be doing for Sinclair’s WUHF (Channel 31). WUHF’s News Central broadcast will go off the air Thursday (Sept. 1), and the word from WROC’s Humboldt Street facility is that they hope to have the retooled 10 PM newscast ready to debut before Election Day in November, using WUHF anchor/reporters Melanie Barnas and Ty Chandler along with the WROC staff. *The format change we were wondering about in VERMONT last week – the arrival of classic country at WXAL (93.7 Addison) – still hasn’t happened, but there’s another change in the works within Steve Silberberg’s cluster of stations on the shore of Lake Champlain. Next Monday (Sept. 6), WVAA (1390 Burlington) will pick up the Air America talk and WTWK calls currently being heard on the daytime-only 1070 signal from Plattsburgh, N.Y.
Keeping track of Canadian radio stations used to be easy — no more than a dozen stations in even the largest market, with format and call changes taking place at the rate of perhaps one or two per market per year. The past week in NEW BRUNSWICK seems to throw the old order completely out the window, with no fewer than six new stations and an AM-to-FM move being authorized by the CRTC. But wait; there’s still more new radio coming to Moncton! On 99.9, Denis Losier was granted a license for a 9500 watt French-language commercial outlet, the first in Moncton since the 1985 demise of CHLR (1380). Losier will operate the station in conjunction with CKCW and CFQM, with Maritime Broadcasting owning 49% and using its studios on St. George Boulevard for the new 99.9. Want religion? You’ll have that, too, when two low-power Moncton stations sign on. At 100.9, James Houssen was granted a 50 watt station, while the International Harvesters for Christ Evangelical Association (why do we have this image of ministers on big farm tractors?) was granted 50 watts on 105.9. *Ron Della Chiesa said goodbye to “MusicAmerica” today (Thursday, August 31), with a final show that concluded with Frank Sinatra’s “My Way.” Della Chiesa will be back next Tuesday on GBH, but with a morning classical show that promises to be a far more sterile undertaking. It is sad to hear of the continuing decline of AM in the Utica area– Remsen’s WRCK (formerly WADR and earlier WREM) together with Utica’s WUSP (old WBVM) served the area well in better economic times in the past. Off the air and in bankruptcy after all these years. Last year, WUTI (formerly WRUN) on 1150 also went silent.